Editor Christian Eedes selects the most exciting wines he’s reviewed this year. From ungrafted Chenin Blanc vines, the most profound modern-era South African wine yet. Read original review here. Adi Badenhort’s cultivated eccentricity possibly gets in the way of just how good his wines are. This is a cracker. Read original review here. It’s the Cab and the Syrah in this portfolio which usually get all the accolades but the Sem is the true wine of distinction and the 2012 is a particularly fine vintage. Read original review here. If you’re looking for medium-bodied reds of subtlety and refinement, Grenache is far more likely to deliver under local conditions than Pinot Noir. This is a particularly compelling example. Read original review here. Delaire Graff winemaker Morné Vrey is nothing if not precise and this flagship Cab is immaculate. Read original review here. Is Sauvignon Blanc a noble variety? In the right hands, yes. As this wine from Thys Louw demonstrates… Read original review here. Some of Craig Hawkin’s “natural wines” are an acquired taste but this Chenin Blanc is lovely by any standard. Read original review here. From Chenin Blanc, this wine had three weeks of skin contact and comes out looking all the better for it. Made by Jurgen Gouws, who is Craig Hawkins’s sidekick at Lammershoek. Read original review here. 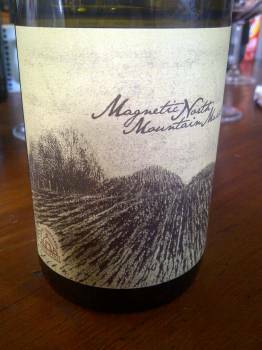 From SA’s second oldest Chenin block, a truly captivating wine. Read original review here. Chris Keet brought a particularly light touch to bear back when he made the Bordeaux-style Cordoba Crescendo and this is again evident here. Read original review here. The finest example of the variety to come out of South Africa so far. Read original review here. So much more than a beefed-up Sauvignon, this wine gives the great whites of Graves a run for their money. Read original review here. Not too weighty. Not too stalky. Just right. Read original review here. Grapes come from a Piekenierskloof block planted in 1954 and vintage variation seems to be more pronounced than usual with this wine. The 2012 is breathtakingly good. Read original review here. From the living legend that is Eben Sadie. Read original review here. SA’s ultra-premium whites often outshine its reds but here’s a genuinely world-class offering from Bruwer Raats with all the purity, freshness and structure you could possibly want. Read original review here. Unfortunately, there are too many examples of Cap Classique that underwhelm but this was pretty snazzy. The 2011 went on to share the title of overall best wine at the Six Nations Wine Challenge further entrenching this as a highly collectable label. Read original review here. One daren’t talk of terroir too lightly in the South African context, but this wine with its appealing herbal character combined with great fruit purity seems particularly true to the property. Read original review here. Featuring Roussanne from Paarl, Chardonnay from near Bot River, Semillon from Franschhoek and Chenin Blanc from Stellenbosch, John Seccombe’s blend is startlingly imaginative. If you’re going to charge north of R600 a bottle for your Chardonnay, you better make sure you have something smart in the bottle. The softly spoken Christiaan Coetzee, who joined Uva Mira after a stint at KWV, makes sure that this is the case. Read original review here. Quintessential Swartland Chenin – concentrated fruit, tangy acidity and plenty of character. It scored 90/100 and had an approximate retail price of R80 a bottle. Read original review here. Wine Cellar now stocking 2014. From Cinsault, Grenache and Syrah, this wine is just so vibrant and easy to drink. Is R170 a bottle cheap? Yes, if you consider the Cinsaut and Grenache are off vines planted in the 1950s! Read original review here. Heaps of personality without being in anyway overdone and yours for approximately R100 a bottle. It is nice to read your articles regularly. We are quite happy with your TOP 20 wines, as we are listing Badenhorst, David, Keet, Mullineux & Raats here in Switzerland. Great selection. Thanks for this year of reviews. I cant’ agree more on the Magnetic North and on many others (Badenhorst, Mullineux, Neil Ellis, Silverthorn…). I would just have added the Syrah from Fable Moutain. Looking forward for 2015 !